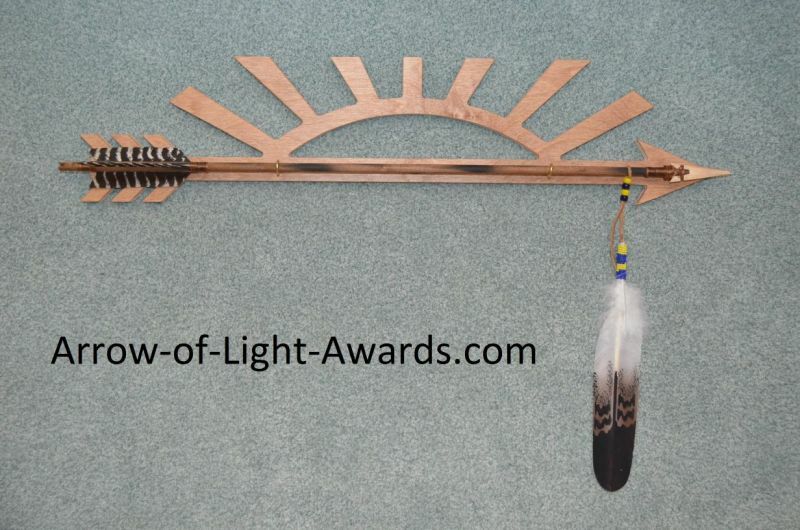 Arrow of Light Award Arrows, Plaques, and Accessories. Our arrows are 100% Native American made! Home of the $13 Arrow! 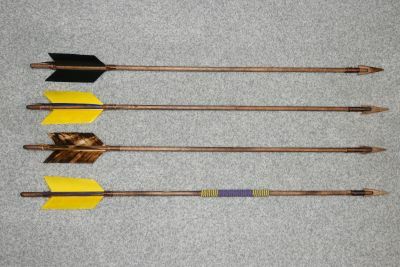 For those needing longer arrows we we have 6 different arrow of light arrows between 28 and 32 inches, also Native American made, In cases the shorter arrows don't give enough room for decorating your arrow with your child's achievement stripes. We offer 2 styles of arrow of light plaques. The sunrise plaque is our biggest seller, but we also have an arrow plaque for those with smaller budgets. We also offer beaded feather straps that can be used to hang your Arrow of light arrows. We feature American Indian painted feathers, coup feathers, and Arrow head necklaces. 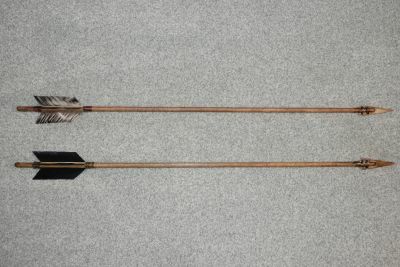 We also carry arrow points for creating you own arrows. The arrows arrived extremely safe (nice packaging) and look absolutely beautiful. I will absolutely be recommending these and your work to anyone I talk to about AOL awards. 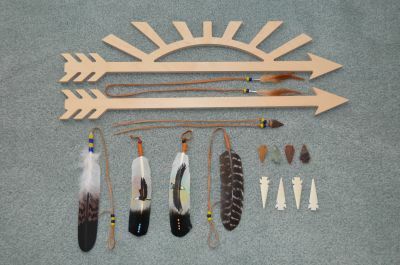 These arrows make especially good Arrow of Light Arrows as the are American Indian made Arrows! All arrows shown are fully assembled!!! Perfect for use as arrow of light arrows. We want you to say you have too many choices! We also now provide AOL plaques, coup feathers, and other accessories! We use Priority Mail from USPS to ship your orders, it usually takes 3-6 days for them to arrive. Take Advantage of these excellent Arrow of light preparation guides and suggestions! Here is a file Webelos Career Arrow, created by Kearstin Brewer on an alternative way to decorate your arrows using thread.